Hi loves! 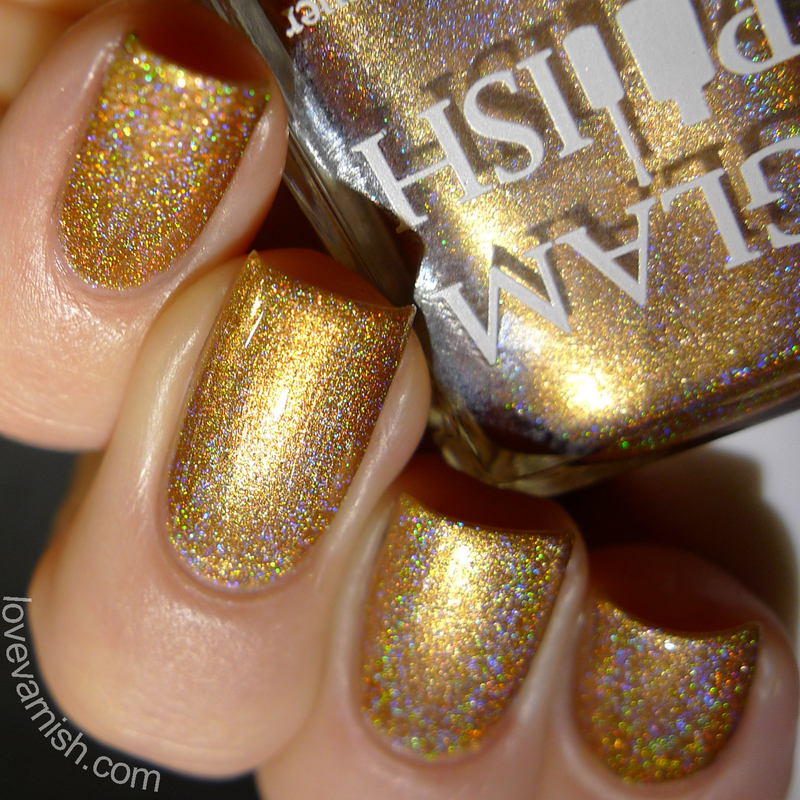 Another Glam Polish post today, this time featuring 3 shades from the Glam Polish Anniversary Ultra Holos collection. This set consists of 9 luxury ultra holo shades created to celebrate the Glam Polish 3rd Anniversary. Even though I only tried 3, based on these I think it's safe to say you'll need them all if you love holographic polishes! Formula wise all 3 behaved similar. These are buttery, opaque, smooth polishes that go on easily in 2 coats. The holographic effect is strong and beautiful, and there's this nice metallic-y finish to them without being too frosty. I'm suspecting these might stamp, too! Glam Polish Ecstacy is a violet holo. So pretty! I love the warmth in this shade, it really complimented my skintone. Glam Polish Opulent is a bronze holo. Yeah, it looks quite yellow gold here, doesn't it? I shoot my pictures with artificial lighting and some shades don't react well to that. I promise you it is a gorgeous bronze tone in regular lighting! Glam Polish Ornate is a platinum holo. So unique! It has a certain grunge tone to it, not too silvery and the holo ♥ so good! Like I said, based on these 3 shades I think it's safe to assume you'll love all of these. Out of these 3, my favorite is Opulent, the color is really unique and beautiful and both toned down and sparkly at the same time. Do you like these holos as much as I do? And which shade is your favorite? Tell me in the comments! The Glam Polish Anniversary Ultra Holos released November 6th from www.glampolish.com.au with shipping to Australia, USA and France. Shipping rates to USA are $3.50 USD for the first polish and an extra $1.00 USD for each additional polish.